Carter/SYM USA, along with SYM Corporate Headquarters in Taiwan, would like to make you aware of a very serious situation that has recently come to our attention. Lance Powersports Inc. of Ontario, California, has been advertising and marketing a scooter by the name of the Vienna 50/125 which they claim to be manufactured by SYM’s China subsidiary. The truth is Lance Powersports tried to obtain this product through a China trading company; SYM Taiwan management had no knowledge of this transaction or intent to allow Lance to import this model into the U.S. market. It is in fact a triangle trade through a trading company for product originally intended for Mexico. Note: The Vienna 50/125 will not be sold through Lance Powersports into the U.S. market period; SYM Taiwan Headquarters has not authorized Lance to do so. Carter and SYM together have invested millions of dollars in promoting and establishing a viable SYM presence in the U.S. We have always promoted SYM as a great Taiwanese Brand and Company that conducts business with honesty and integrity. 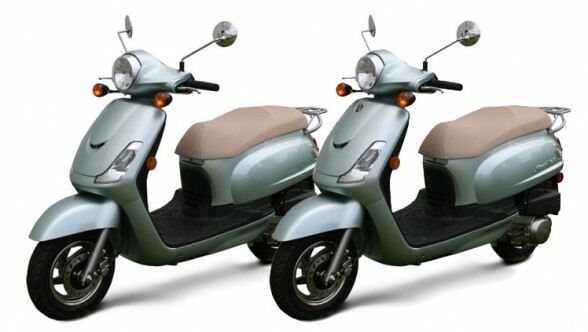 SYM has always been well known for producing the highest quality scooters in the world which exceed the quality, style and performance of equivalent Japanese and Italian scooters in many cases, and offer value to SYM Dealers and Riders alike! Carter/SYM USA, as well as SYM Taiwan, pledge our continued efforts in making the purchase and post-sale support of your SYM vehicle a pleasurable experience through our extensive and knowledgeable Dealer Network and Customer Service Departments. We take your investment in our products very seriously and endeavor to give you not only products that you love to ride but a company upon whom you can depend to create and support safe and well-designed vehicles that will retain their performance and value for years to come. We thank you for your continued enthusiasm and support for this truly exceptional brand of SYM vehicles. We are sorry to announce that our anticipated Vienna 50 / 125 will not be available. Carter has put our manufacture in a difficult position. In the interest of all parties involved, we have decided not to continue with the Vienna model at this time. As you may or may not know, our Vienna model is similar to Carter/SYM Fiddle II. Only difference we offer reasonable dealer cost and affordability to consumers by adding more value for less. Carter CEO Jonathan Arn sent a memo last week falsely accusing Lance of illegally obtaining Vienna model through trading company. In response, the real truth is we were solicited by Carter’s manufacture to help distribute Vienna in the US. However, this has created tension and animosity between all parties so we decided to withdraw from importing Vienna at this time. We sincerely apologize to our dealers and consumers for any inconvenience. Besides issuing false statements about Lance and overcharging dealers and consumers, we do not know Carter or have any negative things to say as they are probably a fine company. We do not engage in false accusations or slander a competitor who’s trying to help add more value for dealer and consumers as we navigate through challenging times. We ask for your continued support so Lance can continue to offer innovative products, great after sales support, competitive and reasonable pricing so in turn you continue to be successful and profitable at the same time offer your customers significant savings and exceptional value. We thank and appreciate your ongoing support. a) Let’s not forget that SYM’s Fiddle II pretty much started life as a photoshopped photo of a Vespa ET4 in their 2007 DealerExpo brochure. b) Lance’s commitment to value is evident in their refusal to spend valuable time and money proofreading their press releases. I think Lance really dropped the ball on trying to be the honorable foe. Declining to insult is really an insult and when it comes after a sentence with an insult it’s even harder to swallow. How long until someone beats Hammerhead to market on their own Venti design? Or has it come out already? When that sits next to a vbb it’s going to look like that giant P-series at the Piaggio museum. It will be funny. Nah, I sat on it at DealerExpo, remember? it felt fairly accurate to a VBB frame, though higher off the ground. it’s probably bigger, but not as big as a regular P-series. I bet it’s on par with a Rally or Sprint. CARTER is absolutely innocent this time. I am not trying to defend CARTER, nor do I know how much of the press releases are accurate. 1.) the “Vienna” scooters were ordered for the Mexican market by a third party. They were never intended for the US market. 2.) The shipment was later redirected to the US. 3.) CARTER currently has the exclusive rights for the distribution of SYM product in the USA (and I know, there is a lot of controversy about that), which means that LANCE’s offering of SYM product in the US was a direct violation of CARTER’s exclusivity agreement. b) The deal was set up to mislead SYM, in which case SYM probably had no chance of knowing what the real intent of the buyer was.